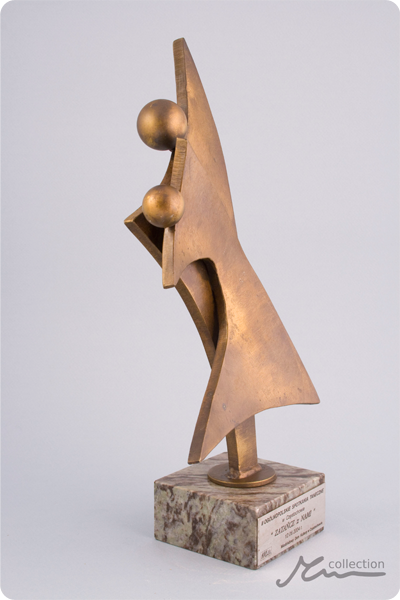 Dance Step Statuette: a metal statue covered with brass or copper to create the effect of aged gold. 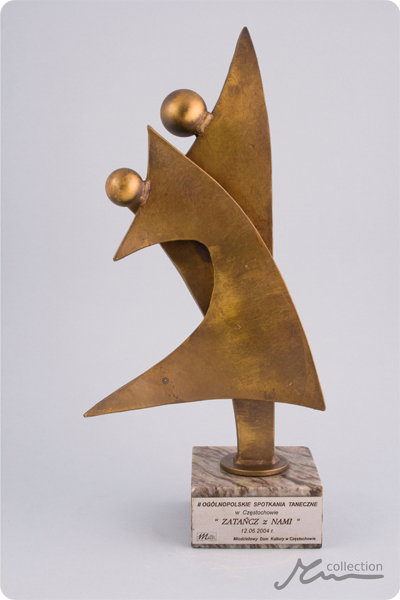 The dancing couple is symbolic, with the dynamics of the move being the sculpture's main theme. 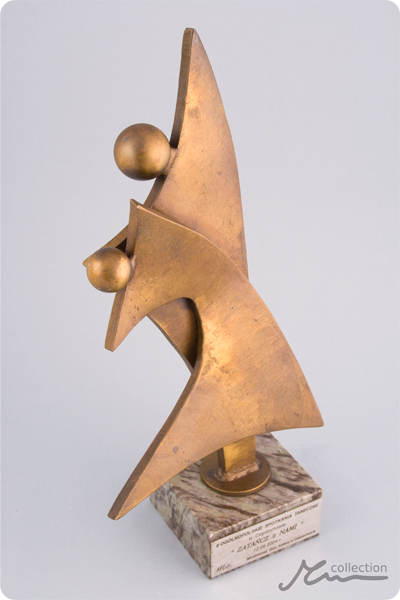 The faces lack detail, yet they seem to be gazing at each other. 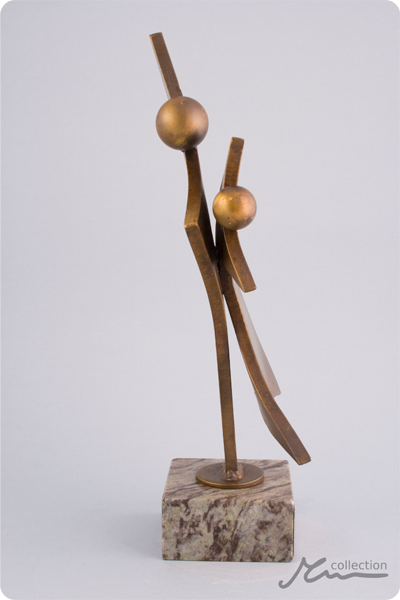 A great trophy in dance contests, tournaments and competitions, both modern and classical, as well as a souvenir for people involved in this discipline.